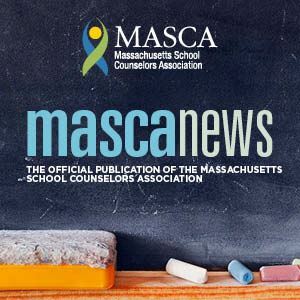 MASCA is excited to announce that we now offer two publications: The Counselor's Notebook and MASCA News! The Counselor’s Notebook is a traditional hard copy newsletter that is also available as a pdf. It is published ten times a year throughout the school year by MASCA (September - June). MASCA Members receive a complimentary subscription as a membership benefit. For non members, the yearly subscription rate is $30.00; individual issues are $3.00. MASCA News is our electronic newsletter. Take a look at current or past issue(s)! Graduate student opportunity -- Submit an article for consideration in "The Intern's Tale" column in the Counselor's Notebook. Refer to the "The Intern's Tale Author's Guidelines" for the details to prepare your manuscript and the process for submission.